Integrated Pest Management Ltd offer a full and comprehensive service dealing with all aspects of bird prevention and control. In addition to having fully qualified and experienced installation personnel, our company is in the unique position of having an in-house bird control team and does not use expensive sub-contractors like many of our leading competitors. 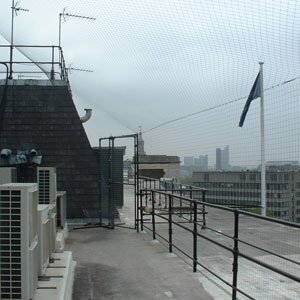 Our bird control service begins with a free site survey and initial consultation. This survey will allow our fully qualified specialist surveyor to understand and identify your individual requirements. On completion of the survey we forward a typed report detailing our findings and any recommended systems. Feral Pigeons and other pest bird species can be a serious problem in the urban environment. They pose a very serious health risk by transmitting diseases such as Ornithosis, Salmonellosis etc, cause secondary insect infestations, deface and damage buildings and increase property maintenance bills. We would welcome the opportunity to discuss our services with you in further detail and how we can benefit your business. Please give us a call on 01992 763776 for a friendly informal chat.